Ben Affleck has returned from the Bahamas alone. The Batman v. Superman star jetted to the holiday destination with his three children and estranged wife Jennifer Garner as news of the couple’s split was made public. But on Friday, Ben was spotted leaving to head back to Los Angeles – leaving the rest of his family there. He was seen at the docks near his holiday home where he was then taken to a private airport to catch his flight home. At the time he was still wearing his wedding band. However, as Ben headed out for a coffee run on Sunday in Brentwood, California, his gold ring was noticeably absent. Pictures emerged of Ben and Jennifer on their family break last week, looking tense. "They seemed to just stare off into space out to the ocean a lot of the time, and were in total silence,” a source told Entertainment Tonight. Jennifer and the pair’s children flew to Atlanta, Georgia, on Sunday, where the actress is set to begin working on her new movie Miracles From Heaven. Ben will be making his first official post-split appearance at Comic Con in San Diego, California, on July 11. However, it remains to be seen how Ben’s mood will be at the event, as he is said to be struggling to cope following the breakdown of his marriage. 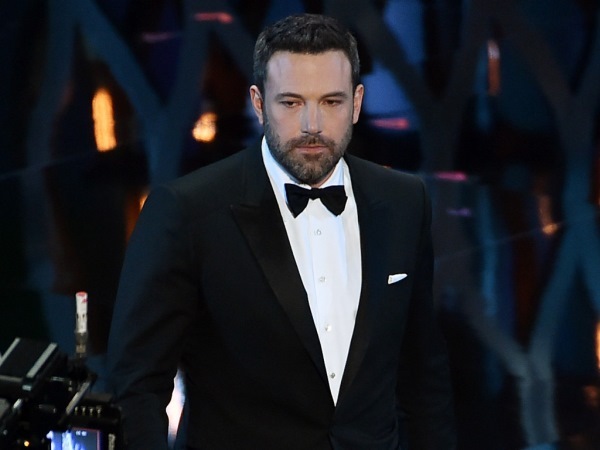 "Ben is distraught over the divorce and is having a very hard time," a source told Us Weekly. "He doesn't have a lot of close friends to lean on right now, and Jennifer has always been the one he goes to."